What a season! I’m writing this preface between two gigantic meetings : Bad Camberg and European Bug In. With a big smile on my face, as Volkswagen is my thing! It was fantastic to meet so many people at our Open House (just before Bad Camberg) of so many different nationalities, from a lot of different continents and different ages, Volkswagen is a perfect hobby from 7 till 97 years and even older! The summer season is in full swing and the ambience is great…. The VW industry is going at full speed. Isn’t that enough reason to be in a positive mood ? Although the weather in Western Europe might get better…. Much worse is the human suffering, boat refugees or people running for IS terror. We shouldn’t worry about it, but though we must open our heart for so much suffering and misery, why has is to be this way ? And how must it go on ? Is it necessary that one part of the world will be cut off from the rest ? In this newsletter you’ll find a large package of new products in our assortment. Price modifications turn out better than previous time (fortunately the dollar is more stable). We are doing our outmost to forward all orders as fast as possible, pallets should be ready for dispatch within 48 hours, in between packets should leave the very same day for orders made before 11 am. Within the company we’ve been tinkering with the work flow…. We should expect results soonest, because we like to write our Service with a capital as always! A splendid summer and see you on one of the next VW events ? Bumpers for Vanagon models already are hard to get for quite some time due to the fact that most Vanagon busses had a though time during their life and decent replacement bumpers are not available on the market. 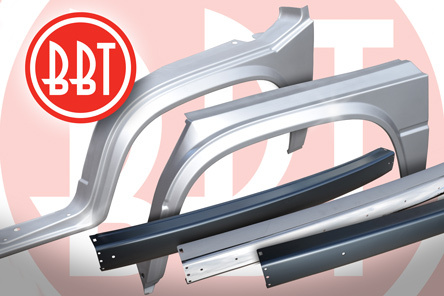 BBT's development department tried very hard to develop and produce a decent, as original quality, reproduction bumper that equals or even passes original models onto correct fitment, thickness, pressing and finish. 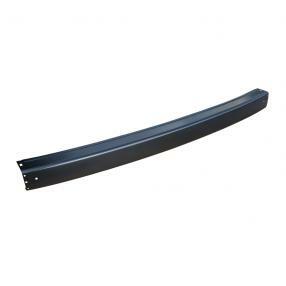 These bumpers which are being sold under BBT production brand are top quality and as original model. Available each from stock, front and rear models available in chrome or black primer painted. The Type 2 03/55-07/65 engine lock mechanism requires regularly maintenance to ensure long lasting functionality. 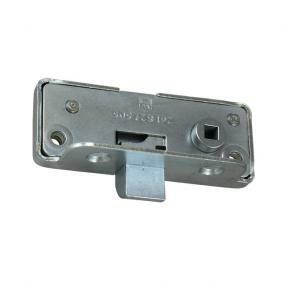 This lock mechanisme suffers a lot due to its mounting possition in the engine bay where it can be contaminated by oil residues, emission, dust, dirt... These elements accelerate the wear process and due to this process the inner lock can become blocked and damaged. Second hand ones are hard to get due to limited supplies and therefore BBT has been searching for a decent replacement solution. From now one we can offer you a decent reproduction unit, sold each, from our shelves. Proud Splitscreen drivers or workshop owners who already made repair or an entire restauration project will certainly appreciate the value of decent reproduction body panels and exactly these peoples are the ones who're always on a quest for body panels with a decent price/quality value. BBT likes to give a decent reply to this demand and our purchase team did a very good job on this one. 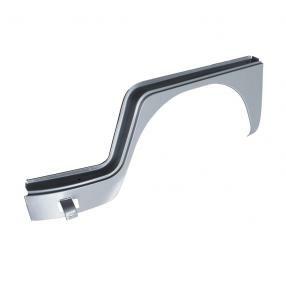 The Type 2 doglegs are one of those panel parts that suffer a lot from corrosion due to its possition, surrounding the front wheel, and these doglegs get easily damaged in accidents. From now on BBT can offer you replacement doglegs in a, as original, quality per piece and per side. This starter has a couple of advantages in regards to the standard starter. The power of 2KW i.o. the original 0,7 KW makes that engines with high compression can easily be started. The use of magnets i.o. windings reduces the chance of disturbances and a reduced transmission to 6:1 rate facilitates a smoothly start with high compression engines. The Compu-Fire starter has been sold each and available from stock. 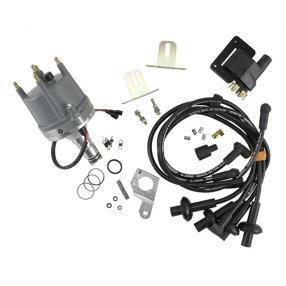 This Magna Spark ignition distributor can easily be installed with a 2 wires connection and works with practically all available ignition coil on the market. The MAGNA SPARK II distributor has been CNC manufactured and hand assembled construction. The distributor shaft runs on needle bearing and a bronze bushing ensures stability and durability at high revs up to 10.000 rpm and an equaly distribution of the ignition spark. 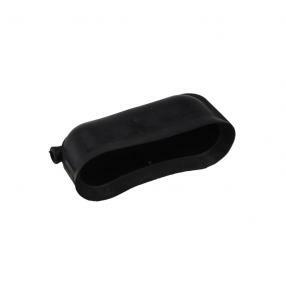 The high quality injection moulded cap with brass terminals ensures long life and conductivity. 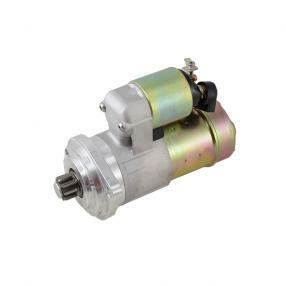 Please note this distributor cannot be used on standard Type 3 and Type 4 for engines. Available each from stock. On some parts of our globe, wheather conditions aren't always as we would like to have them. But most of us do love to travel with our Classic and most preferable we would like to do this in a safe way. The only solution is to make sure that our pride is in perfect condition. A decent working wiper mechanism is one of the elements that are part of this idea and it can be very annoying, or worse, become extremely dangerous when the wiper mechanism doesn't work properly. 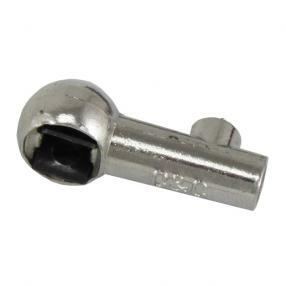 One of the wiper mechanism parts that can become damaged due to maintenance shortage are the ball joints (BBT #2471-105) on the wiper mechanism drive bars (BBT #2471-106). Due to corrosion, this ball joints can become blocked and the drive bar can become bend due to malfunction of the ball joints. From now on BBT can offer you replacement ball joints, each from stock, and we will be able to supply the drive bar in case it has been damaged. 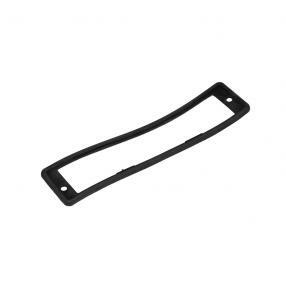 This protection rubber can be found at the inner side of the Type 2 08/58-07-67 engine lid if it isn't yet hardened and/or torn due to harmful influences from oil residues and temperature fluctuations. The importancy of this seal can't be ignored, to protect the inner license light contacts and lens. From now on BBT can offer you a decent replacement rubber available per piece from our shelves. The protective license light lens on a Type 2 08/71-07/79 has been mounted from the outer side on the engine lid and to prevent dust and water to infiltrate into the license light mechanism, a rubber seal has been placed underneath the light lens. This rubber seal has been cracked and damaged on many Buses that already offer long duty and by dismantling the license light lens, the rubber seal gets irrevocable damaged and can't be used again. A replacement is the only solution to solve this and BBT is more than pleased to be able to supply a decent reproduction license light seal each from stock.